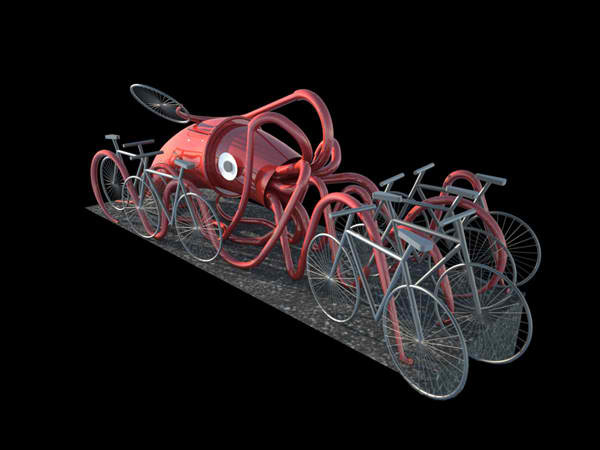 “Parking Squid” by artist Susan Robb is a tentacular squid sculpture and bike rack. 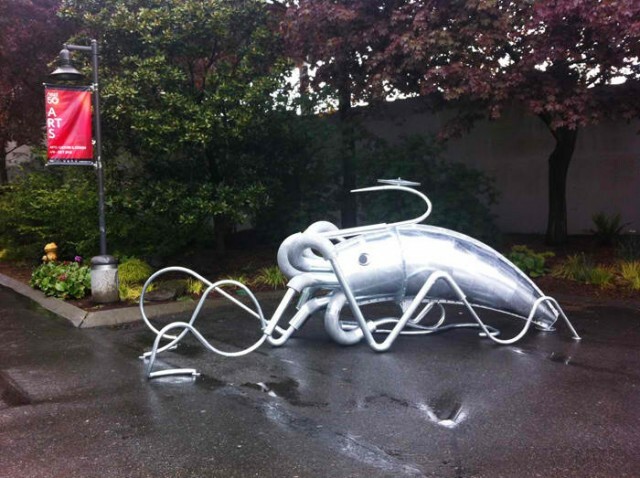 The squid is currently installed at the Seattle Center. In October it will be moved to a permanent home on a Seattle street.